According to Bloomberg, Visa is starting to realize they are sitting on a gold mine. This year, cryptocurrency debit cards have become quite popular. Such cards are issued by third party companies that store users’ Bitcoins or other currencies. When the consumer goes to make a purchase with the card, the issuing company sells a certain amount of the consumer’s holdings to pay for the charge. When one such company began issuing cryptocurrency-backed cards recently, they were shocked at receiving 17,000 reservations in a short period, without any advertising at all. While the digital currency sector has been surging for the past year, there has been some difficulty in the crossover to mainstream adoption of cryptocurrencies. Much of the lag is caused by difficulties in actually being able to use digital currencies to make purchases. Now, the globally recognised credit card network, Visa, has stepped in to serve a role in the digital economy. They will begin with Singapore. The tiny nation of Singapore has been a forward thinking and receptive country when it comes to cryptocurrency acceptance and adoption, so this seems like a logical step. While most ordinary people are still wary of digital currencies, when a respected company like Visa gives its imprimatur, some of that wariness fades. Being able to spend digital currency with a Visa-backed card allows consumers to spend their cryptocurrency at more than 44 million locations worldwide. 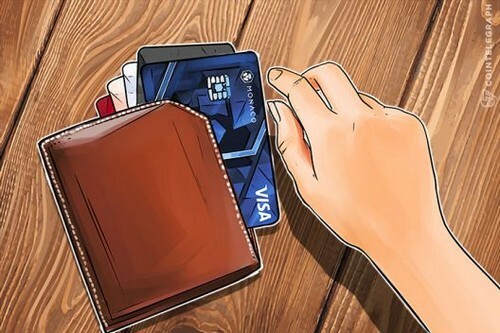 Visa has had a few forays into the cryptocurrency sector, having already approved several different cryptocurrency-based card issuers. There is a lot of work that still needs to be done before digital currency truly goes mainstream, but the fact that major companies are dealing with the new technology bodes well for long-term adoption.